The drain in your basement backs up and you have to call a plumber. A tire blows out on your car. Your dog eats…something…and now you’re faced with an emergency vet bill. You know what though? There are the moments that shape you and make you a stronger person. If you need money now, this may be one of those moments. Don’t panic! You can totally get through this! There are little steps you can quickly take to address the problem and get it fixed, like, NOW! Like I said, you got this. Step 1: Determine HOW Dire Things Are—Is this a True Emergency? So the first step is to determine IF this is truly TRULY an emergency. If the problem is that you can’t pay your bills this month, then there are steps you can take to come up with an action plan. If the problem is a true, unexpected emergency that you’re facing, you must first determine how bad things really are. This can be challenging, for real. I know sometimes things seem like they’re pretty important and you need money urgently, but are they really an emergency? We’re supposed to go on vacation with friends. I promised my daughter a laptop. We need to buy Christmas presents. I’m a bridesmaid in a wedding. I’ll extend the offer I’ve extended before: if you’re having a hard time determining if it’s truly an emergency or not, you can email me and I will definitely tell you. I don’t want to sound harsh. I’m just saying that just because something is an “urgent” money situation you can’t afford, that doesn’t mean you absolutely can’t do it. You can still be a bridesmaid and Christmas will be fine. You just might have to go for some cheaper ideas or find a way to plan ahead and generate some extra money. Your friends and family don’t want you to take on more debt or lose sleep over gifts and activities. You don’t have to say “no,” but you might have to adjust your plans or come up with a side hustle or two. 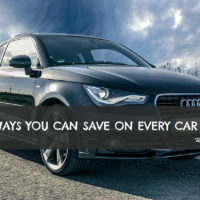 Step 2: Can You Reduce the Cost? Ask yourself, Is there a way to reduce the cost of this problem? You might need to consult with experts to determine this. For example, can you forgo SOME of the car repairs you need to get it to a point where it’s safely drivable for the next month? It might not look great, but it’ll get you from A to B. Can you negotiate a cheaper option or service to temporarily solve the issue? If that’s not possible, can you work out a 15-day grace period or will they allow you to pay things off within a few weeks? Many emergency services understand that when these things come up, they’re often unplanned and out of the budget. Because of this, sometimes they’re happy to work with you. That said, plumbers, veterinarians, and car-repair joints often have lines of credit or credit cards they’ll try to offer you as an option for payment. Just say NO. This is what got you to this point, so by repeating this pattern, you’ll never break out of it. 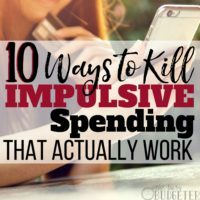 It’s time to move beyond this pattern and start finding ways to problem solve that don’t involve simply swiping a credit card and building up more debt. 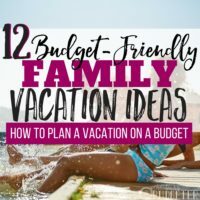 Step 3: Can You Adjust Your Budget? Without taking on debt or falling behind on a bill, can you adjust your budget to accommodate this emergency? This might mean some major shifting and adjusting…but to buy yourself some time, look at the areas of your budget you might be able to cut for the next month or two. If you cancel a few plans or eat at home instead of going out for a few weeks, will you be able to offset the cost? Is there something you can cancel or reschedule? Can you go on an emergency spending freeze and live off your pantry and storage for the next month until you can offset the cost? 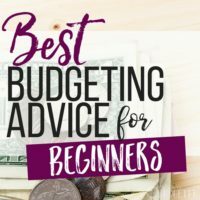 If you’ve been budgeting and have an emergency fund, and you’ve determined that it is TRULY an emergency (if credit is the only other option), and you’ve reduced the cost temporarily as much as possible, and you still can’t adjust it into your budget, then it might be time to use your emergency fund to cover some of the cost. Your emergency fund should be your last resort. Your emergency fund isn’t just a savings account for things that come up or that you want to do. It should be the make-or-break fund. Unfortunately, emergencies happen in life. Things will come up when you have to make hard choices and find a way to balance it without taking on more debt. That’s what an emergency fund is for—a true, true emergency. Step 5: What if there IS No Emergency Fund? If you’re facing a truly dire choice and you don’t have an emergency fund, then you’ll have to try to navigate the situation with as little damage as possible. Try for a payment plan. If there’s no other answer, then do what you have to do and mitigate the damage. Okay, so you’re able to delay payment for just a little while—you have a few days to raise or otherwise come up with the money as quickly as possible to solve your problem. Great! Talk to your employer and see if you can pick up some extra hours or overtime. If that’s not a possibility, then it’s time to roll up your sleeves and get creative! When my husband and I were facing a financial crisis, we did a few things. We upped our work User Testing (which pays about $10 for 15-minute tests). We also went through our couch cushions and our sock drawers and found all of our loose change and rolled it up and took it to the bank. If you need money quickly, one of the fastest solutions is to start selling a few things you don’t need. Do you have old baby supplies you can put up on Craigslist? Do you have any collectible items, knickknacks, or fancy purses you can sell on eBay? If you have an eBay account and a good rating, you can sell clothing like coats, shoes, and even concert tees or sports memorabilia. If you have old sports equipment, put it on Craigslist or take it to a sports outlet that buys items back. If you have video games, you can take them to a game store and fetch a pretty decent price. 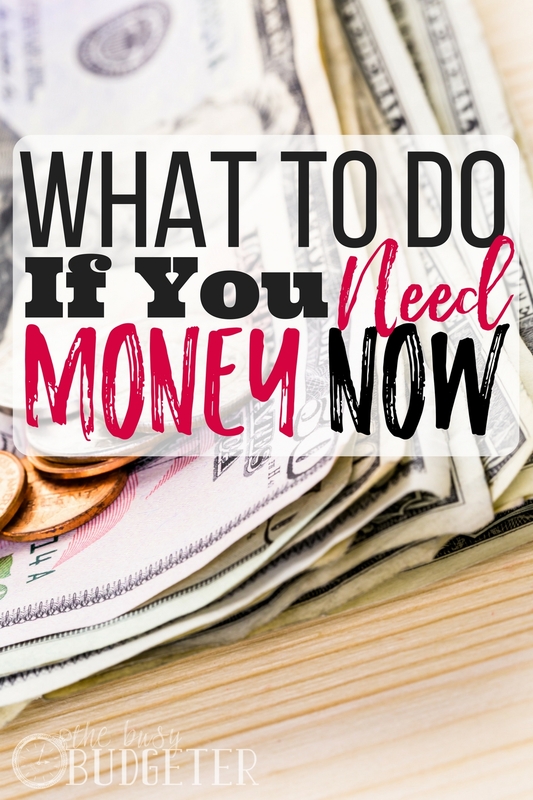 If you truly need money now, AVOID the following: selling on consignment, running a garage sale, selling on eBay (if you have no rating), creating crafts to sell (if you haven’t sold them before), or buying used items to refurbish or sell. If you’re truly in a financial crisis, it’s probably not the time to start your Etsy business, try to coordinate a garage sale, or wait for consignment payments to come in. You CAN, however, reach out on your local neighborhood boards, like Next Door, Facebook or Craigslist, and ask if anyone is looking for odd jobs, yardwork, childcare, pet sitting, or other opportunities to make some quick money. Now that you’ve come through a financial crisis, it’s time to start thinking of ways you can ensure this doesn’t happen again. I’m not referring to emergencies—unfortunately, that’s just part of life, and those will keep on happening. I’m talking about facing financial crises without an emergency fund or plan, and going over your budget. Look at your budget and your plan. Figure out new ways you can earn more money from home to help bridge the gap and make ends meet. If you aren’t to the point where you have a solid budget, you can start my 90 Day Budget Bootcamp to get you to a safer financial spot. Each experience makes us stronger and helps us to learn and grow. Use this as an opportunity to reflect and recommit to your financial goals! This topic is rather timely. Husband is concerned about his employer downsizing. So, while I don’t have anything to panic about yet, I’m very aware. We had this moment when we made up our minds to go forward with in vitro. We had saved, but not enough. Sold our Jeep and found the money we needed to make it happen and have one awesome preschooler who was worth every penny:] Where there’s a will, there’s a way! That’s awesome! Sometimes the sacrifices are soooo worth it, aren’t they? I suppose a garage sale could work if it were in the summer and you planned it quickly! We have one every other year and I’m pretty good at pricing, have my organization and setup down pat, etc.